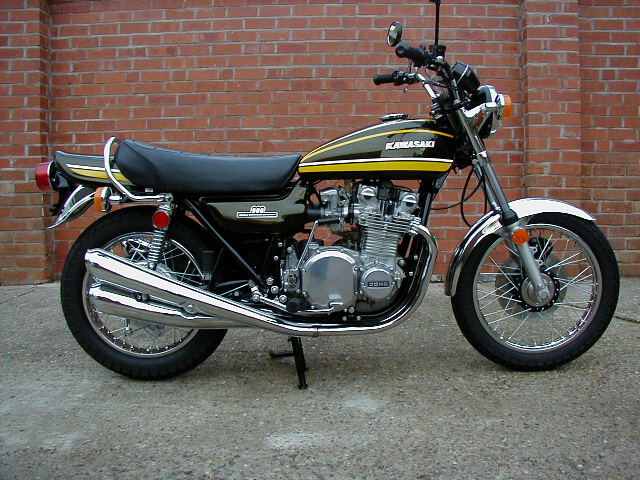 Sold new in the USA in 1974 this machine has been completely rebuilt by Steve Smethurst and ourselves. 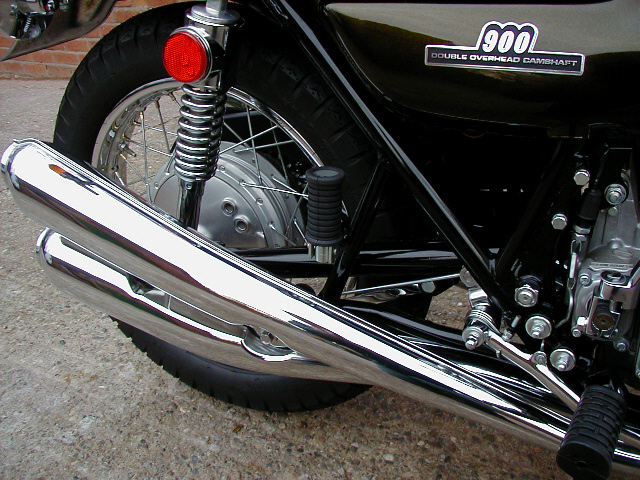 It is UK registered and has been roadtested over 50 miles. It is as near to new in every way as we can acheive. Full specifiaction is as detailed below together with photos of the restoration. 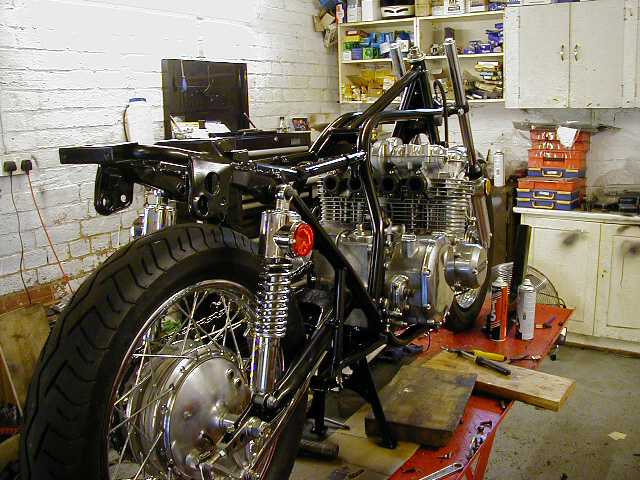 The small number of re-built concours machines we restore, are either for sale or can built to order for you. 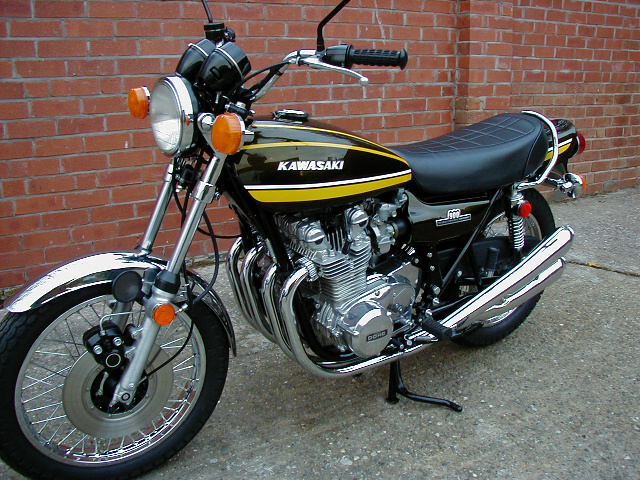 Kawasaki Z900s have always been our speciality and we sell around 45 to 50 Z900s every year. 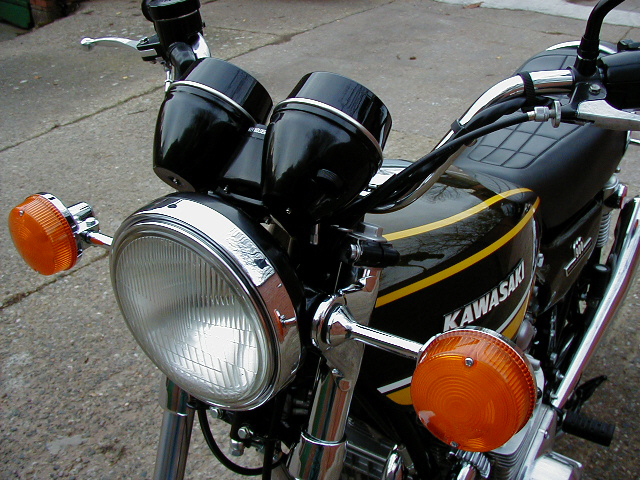 Generally the Z1-900s we sell range from around £2500 to £10000 (for show condition). 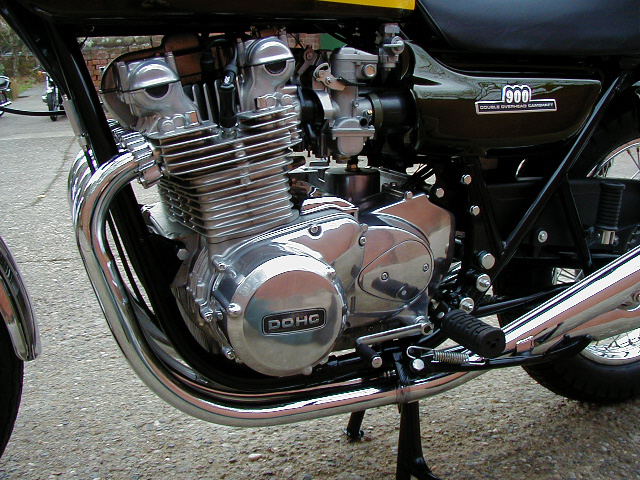 However, each year we restore two or three Z900s aiming for 100% "as new" concours condition, the best quality we can achieve. These are much more expensive. It would be possible for us to "restore" a Z1 for much less. Such a bike might look as good and cost only £8000 to £10000, but there would have to be compromise on the quality and extent of the work, which is not what we want to do! On these fully re-built 900s every thing we can replace with new parts or restore to as new specification is done. We are setting out with quality as our objective and that means of course that we sacrifice cost! These bikes are very expensive to rebuild to this standard. Each bike is road tested and ready to go and will of course be warranted for 6 months (link). In addition we will be pleased to help with any advice, problems and servicing at any time. An International Delivery Service to any location is also available. Please contact us for a quotation. (Europe approx. £600, Australia by air approx. £1500, USA by air approx £1000).